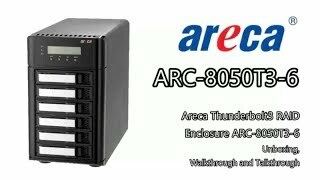 If you buy this Areca Thunderbolt3 RAID Enclosure and hard drives we do free build and test for the unit and hard drives. So you can use this device straight out of the box. 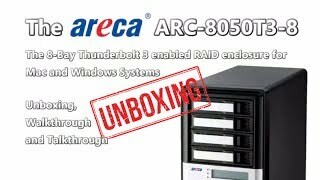 All free of charge in ARC-8050T3-6 price. Will this run at 40 GB/s on a windows machine with a thunderbolt 3 port? Thank you for the question. This does have the potential to reach 40GB/s, however, it would very much depend on the drives you are using. With lower spec drives no it wouldn't. With higher spec it does have the potential. Please contact our sales team for more specific assistance.